Many people see swimming as a water safety activity or just another event to watch at the Olympics Games every couple of years. In reality, the sport is much more than this. 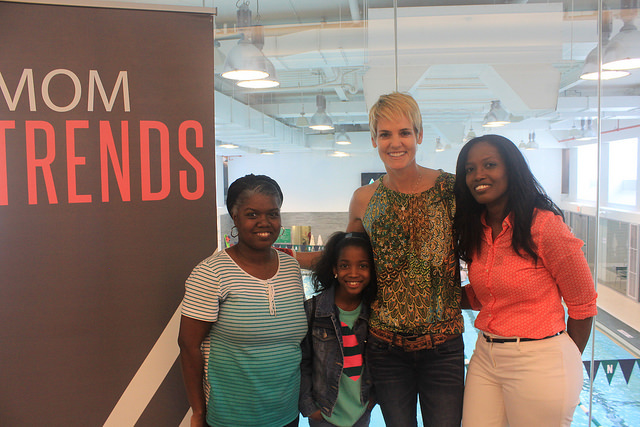 Olympic swimmer turned swim mom Dara Torres has been traveling the United States this summer as an ambassador for SwimToday’s new campaign to encourage kids and parents to try today’s #FunnestSport! Dara has inspired and motivated the world with her accomplishments as a storied Olympic Gold Medalist and fitness icon. At 48-years-old, her own fitness app and a full schedule of motivational speaking engagements each year are just a few of the ways Dara continues to inspire others to live a healthy lifestyle. This summer she is paying particular attention to today’s youth and the many ways that joining a swim team can benefit a child’s physical and emotional development. The SwimToday campaign was something Dara was excited to get behind given the fact she has her own little swimmer at home, 9-year-old daughter Tessa. She knows firsthand the benefits that come with participating on a swim team and wants Tessa to experience the same joys she did as a kid. Swimming allows athletes equal participation, a full body workout, low risk of injury, easily accessible fun and a sport you can participate in for the rest of your life. It is one of the few team sports where each participant gets equal competition time. There are no benchwarmers. Kids develop a sense of teamwork and get used to working with others to achieve goals. Dara has helped spread the word making personal appearances and creating social media posts on behalf of SwimToday and their ongoing campaign. She joined SwimToday and over 40 influential mommy bloggers at a moderated Q&A session in NYC last month to talk about her relationship with the sport, what she got out of it, aspects most people don’t know about the sport and how easily they can jump on board and start participating. Marketing campaigns like the SwimToday #FunnestSport initiative allow Dara to utilize her position as a celebrity influencer. She adds credibility, volume and value to any brand message. If you would like to hire Dara Torres for an upcoming marketing campaign or if you’re interested in having Dara provide the keynote speech at your upcoming event, please contact Laura Cutler at laura@pmgsports.com.